The fight against corruption, so highly supported by Brussels, has become a witch-hunt with prosecutors, judges, the secret services and the president all protecting their business interests, writes Norica Nicolai. Norica Nicolai is a Romanian independent MEP and vice-chair of the European Parliament’s ALDE group. Her party ALDE Romania is a coalition party in the government against whom the protests took place. Unity in diversity is the main motto of the European Union and it is more than just words. We function as a Union of equal states, supposed to respect each other and accept our differences, with the main purpose of avoiding unnecessary conflicts. Romania has consistently behaved like a wise student in its relationship with the EU institutions, showing its willingness to develop as a nation and to assure a better life for its citizens. As new member state in 2007, we even accepted the monitoring mechanism on justice (MCV), a stigma that gave us the image of a problematic country, which needs yearly reports to get better. This mechanism still exists, although it has been used over the years as a political instrument to build or weaken the trust in different Romanian governments. For the moment, the MCV is used as a pretext to keep my country out of the Schengen area, against any legal or logical argument. Since 2004, Romania has been under the influence of its right. The country’s last two presidents came from these parties and have continued to work in a right-wing direction, despite constitutional restrictions. Rightist doctrine in my country is not a clear concept, since parties claiming to belong to the right of the political spectrum have transformed repeatedly, sometimes without any logic or good sense. In all these years, the presidential regimes and the people close to them have controlled almost everything: from parts of the media to political decisions, justice and the business world. The former government, the president’s government, even adopted an Emergency Ordinance that gave the secret service’s employees the power to execute penal procedures, which is totally against the constitution. Because of this interference, we have today arrived at a point where Romania has selective justice, where corruption files are hidden for ten or 12 years before being revealed. Thinking of the principle that says that justice delayed is justice denied, I would add that justice delayed is, first and foremost, justice that blocks the state in its efforts to recover economic losses due to corruption. The fight against corruption, so highly supported by Brussels, has become a witch-hunt where prosecutors, judges, the secret services and the president are playing in order to protect their influence in the business world. Romania is not a poor country but over the years it has been very poorly managed, mostly for the benefit of people other than its citizens. Governments have been demolished or brought to power “thanks” to selective corruption revelations. Careers and families have been destroyed because, in some specific politicians’ cases, detailed case files were presented on TV before being officially notified. All this has happened under the European Commission’s very strict monitoring of the justice system. Before the elections in December, the re-grouped and re-branded parties of the right wing were convinced that they would win the elections, although the polls were showing otherwise. In the end, the results confirmed the polls, so the Socialists won without any doubt. Since then, any action from the government has either been blocked by the president or turned around by the right-wing press in a way to incite the population to go to the streets and protest. A large number of NGOs and opinion makers close to the right-wing parties and the president have been involved in the organisation of the anti-government protests, thanks to social media. Meanwhile, in this noisy and aggressive atmosphere, Romania is losing millions of euros of EU funds every day, since its government agencies are blocked. The European Union is reforming and our president, despite his moderator role, is busy convincing EU leaders that the Socialist government in Romania is corrupt and his former party is not. Our political leaders are coming to Brussels not to lobby for EU funds for our country, but to persuade their superiors to issue bad statements regarding the Romanian government or even to condemn the whole country for its ”laxity on corruption”. Brussels officials are again risking interference with internal political battles. I refuse to believe – and to see others believing – that Romania is the problem child of the European Union. I have often read about cases of corruption in more mature democracies, but none of the EU officials are treating these governments as bad students. In the EU we are supposed to respect each other, not to preach lessons. The EU institutions have other priorities for the moment, like the reform of the whole EU system, Brexit, the migration crisis, extremism and terrorism. I do not think interfering with our politics should be one of them. I am also sad to see my own Romanian fellows coming to Brussels and speaking badly about our country, deforming the truth, giving half of the facts, putting the stamp of “corruption” on our country over and over again. This has to stop! I have worked over the years on subjects related to conflict areas like the Middle East, the Caucasus and African countries. Even if I represented the European Parliament in my missions or meetings, I always avoided a scholastic approach to these countries’ officials and institutions. It is humiliating, for us and for them, to adopt a superior attitude. I listened to their points of view and saw the concerns and problems through their perspective and with their cultural approach. We should strive for a diplomatic and anti-conflictual approach more often in international and European affairs. The European Union is facing a lack of trust. Not because of the exceptional ideas upon which it has been founded, but because of its leaders. There is a lot of discussion about reforming the EU but maybe we should start with the people who decide in its name, with the people who take positions and make judgments, while staying far from the reality. We do not need more rules in the EU, we do not need first-tier states and second-tier states because this would destroy our Union. We need tolerance and dialogue. We need to respect each other, to accept our diversity and stop trying to influence the policies of the governments and concentrate on winning over our people. And Mr. Norica Nicolai, how can we be sure that you are not supporting any business interests of the status quo with this article? Paid writers, supporting the corrupt status quo, are quite common in my homecountry of Bulgaria and I expected to see them in Romania too, but reaching Euractiv is quite an achievement – congratulations! 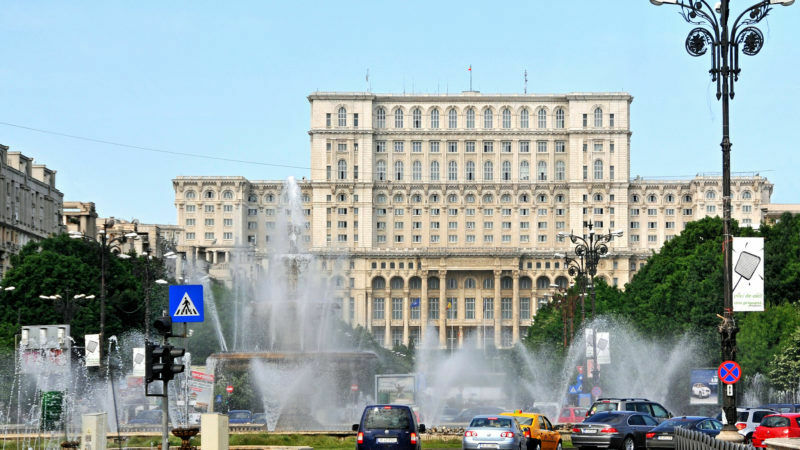 This seems suspicious and the article contradicts itself, how can Romania simultaneously have no need of special measures while at the same time have corrupt officials at every level? That doesn’t sound like Romania needs to have its stamp-of-corruption removed.